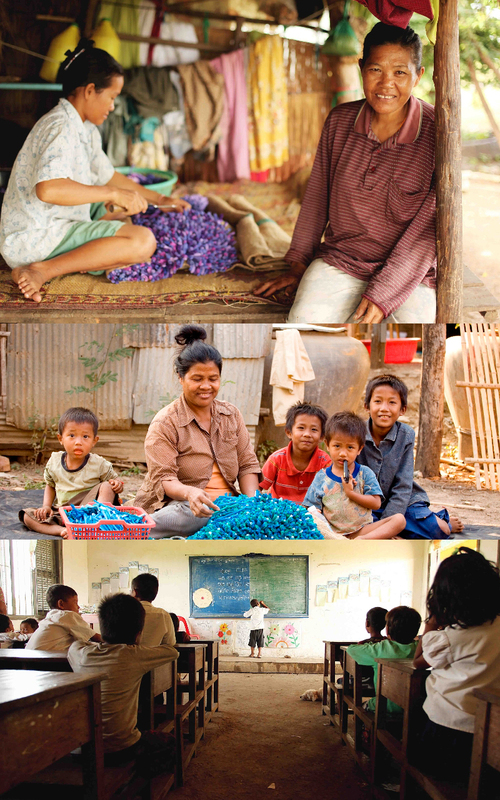 The aim is to empower mothers from Poipet community to earn an income by designing hand-made, eco-friendly carpets. Helping these mothers to escape poverty enables their children, who were at risk of child labour and human trafficking, to return to school. Once the family has stabilised the organisation encourage and support them to develop their own businesses by providing them with capital through micro-finance methods.